4/7/14 - Mickey Rooney took his final bow today, and he was giving interviews and being the great star he was until the last. I photographed him at the Roger Neal Oscar Celebrity Suite at the Luxe Hotel this year and was amazed at how animated he was, and how much I appreciate all he gave to the world of entertasinment. God bless you dear Mickey! BRINGING THE TCM FAMILY TOGETHER IN HOLLYWOOD! New Belgium is still accepting original, creative movie clips through April 1 to have their work showcased in New Belgium Brewing�s annual Clips Beer and Film Tour. 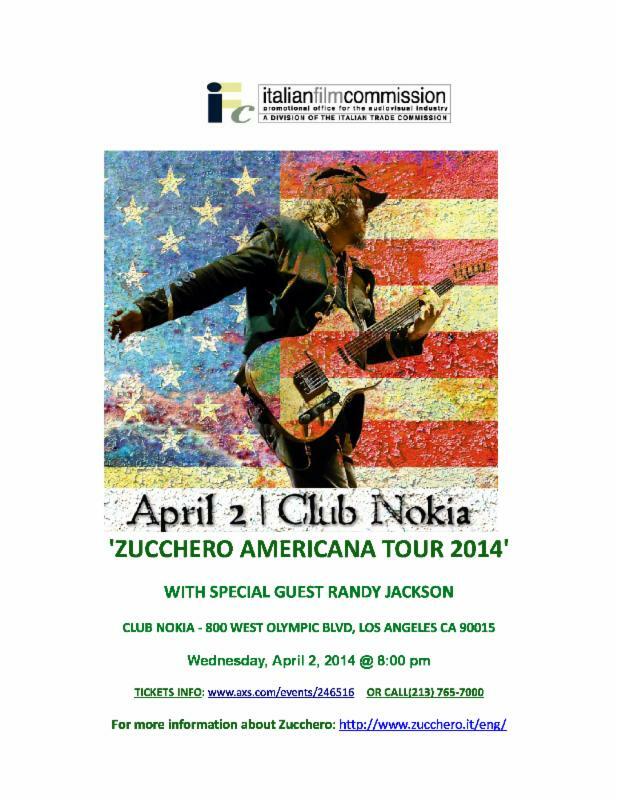 Clips will travel to more than 20 cities from May to November. This marks the fifth year for the beer-toting, film-traveling, nonprofit-benefiting show that travels coast-to-coast. Selected films and their respective artists are subject to fame and beer-fortune, with audiences from coast�to�coast seeing the chosen films. New this year, New Belgium will create a trophy-worthy beer, in custom-screen printed bottles, made exclusively for ALL selected film artists. Clips is a national beer and film festival that invites guests to try New Belgium�s unique Lips of Faith series alongside popular classics, while watching short films by New Belgium friends and fans. Attendees get to enjoy a night under the stars with proceeds going to local nonprofits in each city. Since its inception in 2010, Clips has raised $366,893 for nonprofits nationwide. 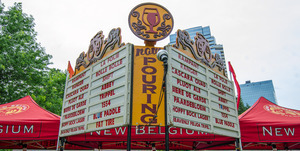 To submit your film, click here and to watch a video about the Clips Beer and Film Tour and learn more go tohttp://www.newbelgium.com/Events/clips-beer-and-film.aspx. New Belgium Brewing, makers of Fat Tire Amber Ale and a host of Belgian-inspired beers, is recognized as one of Outside Magazine�s Best Places to Work and one of the Wall Street Journal�s Best Small Businesses. The 100% employee-owned brewery is a Platinum-level Bicycle Friendly Business as designated by the League of American Bicyclists, and one of World Blu�s most democratic U.S. businesses, and a Certified B Corp. In addition to Fat Tire, New Belgium brews nine year-round beers; Ranger IPA, Rampant Imperial IPA, Shift Pale Lager, Snapshot Wheat, Sunshine Wheat, 1554 Black Lager, Blue Paddle Pilsener, Abbey Belgian Ale and Trippel. Learn more atwww.newbelgium.com. During Oscar Week Taglyan Complex - renowned for its spectacular interior, private garden oasis and delectable cuisine, opened its grand ballroom doors to co-host Kathy Duliakas' 6th Annual Celebrity Oscar Suite & Party to honor the film industry�s Oscar Nominated actors, former Oscar winners, presenters, wardrobe stylists and industry VIPS. This highly anticipated invitation-only event, produced by Kathy Duliakas, co-hosted by Maleku Jewelry� and presented by ZENSATION� offered an incredible array of stunning jewelry, fashion, handbags, rejuvenation technology, the finest in skin, body & hair care, LED lit eyewear, delectable sweets, exotic cocktails and more! Taglyan's own Divine Food & Catering treated guests to a gourmet feast complete with Mediterranean influences. A few of the mouth-watering dishes the stars dined on were: Divine avocado salad, classic Greek salad, quinoa salad, chicken breast stuffed with wild rice and feta cheese, grilled prime beef carpaccio, grilled chicken breast with apricot ginger glaze, tuna tartar topped with Brazilian mango, crab cakes drizzled with wasabi cilantro aioli, basmati rice topped with roasted cranberries, pine nuts and almonds, tri color fusilli salad, rosemary mini potatoes, roasted asparagus, and more. Guests in attendance included Kelsey Scott (Oscar-Nominated 12 Years a Slave), Ashley Dyke (Oscar-Nominated 12 Years a Slave), Emily Bergl (Oscar-Nominated Blue Jasmine), Dustin Kerns (Oscar-Nominated The Wolf of Wall Street), Craig Borten (writer, Oscar-Nominated Dallas Buyers Club), Crispin Struthers (Oscar Nominee, Best Editing, American Hustle), Helen Hong (Oscar-Nominated Inside Llewyn Davis), Cas Anvar (Diana, Oscar-Winning Argo), Brighton Sharbino (True Detective, The Walking Dead), Saxon Sharbino (Poltergeist 2014), Matthew Marsden (Bounty Killer, Transformers: Revenge of the Fallen), Jonathan Keltz (Reign), Sean Faris (Pretty Little Liars), Andrea Gabriel (Twilight Saga: Breaking Dawn, Lost), Alysia Reiner (Orange is the New Black), Stephanie Jacobsen (Star-Crossed, Revenge), Scheana Marie (Vanderpump Rules), Jax Taylor (Vanderpump Rules), Gleb Savchenko (Dancing with the Stars), Alicia Lagano (The Client List), Carly Steel (Mortdecai, The Insider host), Marilu Henner, Gia Mantegna (Empire State, The Prince), Lyndon Smith (Parenthood), Melissa Peterman (Baby Daddy), Jude Demorest (Dallas), Tiffany Hines (Bones, Devious Maids), Carolyn Hennesy (True Blood, General Hospital), Nic Bishop (Body of Proof, Castle), Patricia De Leon (Magic City), Federico Dordei (2 Broke Girls), Will Rothhaar (Killing Kennedy), John Savage (Star Trek Equinox: The Night of Time), Blanca Blanco (Bullet, Spychosis), Matthew Fahey (Awkward), Jaclyn Betham (The Haves and the Have Nots), Chase Masterson (Star Trek), Tia Carrere, Breeda Wool (Lifetime�s Un-Real), Laura Allen (Ravenswood), Corbin Bleu (Dancing with the Stars), Renee Olstead (The Secret Life of the American Teenager), Toks Olagundoye (The Neighbors), Wes Ramsey (Pretty Little Liars), Ashley Jones (True Blood, The Bold and the Beautiful), Peter Parros (The Haves and the Have Nots), Leo Howard (Kickin' It), Melanie Marden (Body High, Mr. Murphy), Amy Paffrath (Trend This! ), Kristen Brockman (Host, BiteSizeTV), Stuart Brazell (Dirty and Thirty, Host), Stefanie Seifer (Dirty and Thirty), Sandra Vergara (Fright Night), and more. 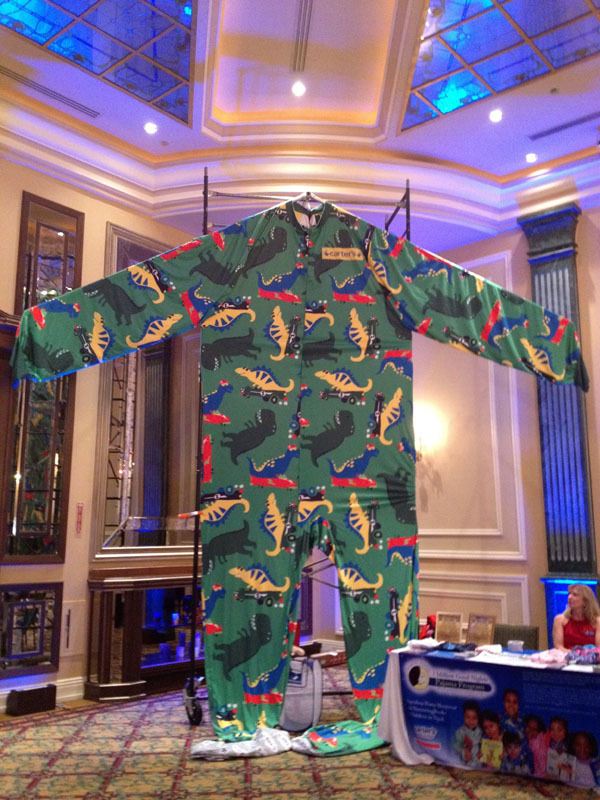 Before entering the gifting suite, celebrity guests dropped off brand new pajamas to Pajama Program. Founder Genevieve Piturro and L.A. Chapter President Lindsay Smith were on site to collect the new pajamas and tell guests about their exciting new "1 Million Good Nights" campaign to collect and distribute 1 MILLION new pajamas and new books to children in need by Dec. 31, 2015. To help them get closer to their goal, Carter's, America's leading brand of young children�s clothing, donated a brand new pair of pajamas to Pajama Program, for every celebrity who attended the event. In addition, Carter's agreed to donate, up to 1,000 new pairs of pajamas for children in need, for each and every social media post about the event, sponsors and/or charity, using hashtags #KathySuite and #1MGoodNights. "Were so grateful, along with Carter's, to partner with Kathy Duliakas' 6th Annual Celebrity Oscar Suite," said Piturro, "to help raise awareness for our "1 Million Good Nights" campaign and our goal to give one million children a good night by the end of 2015." Thanks to the celebrities� call to action and their social media posts, the one-day event generated nearly 550 tweets and garnered over 5,100,000 timeline deliveries, which will result in some very deserving children given a brand new pair of pajamas. Thank you, Carter�s! Duliakas was equally thrilled to partner with Carter's and Pajama Program for this worthwhile cause. "Around Award Season, we all get caught up in the glitz and glamour of Hollywood, but it's very important we remember there are those in need. It's heartwarming to see the overwhelming support that I've received from the celebrities who attended my event. With their powerful reach across all social media platforms -- we were successful in brightening the lives of many young children across the U.S."
Giving back seemed to be the theme of the day. Circuelle�, a sponsor at the event, was so inspired by Carter's pledge that they wanted to donate one mammogram to an underprivileged woman for each celebrity who stopped at their table. As a result, Circuelle� is donating over 50 mammograms to the Conejo Free Clinic in Thousand Oaks, California. The event featured brands such as Maleku Jewelry�, ZENSATION�, AriZona Beverages, Aroma Sense, BAM Bags�, Beverly Hills Cosmetic & Laser Center, Circuelle, CLIF� Bar, Divine Food & Catering, DreamSpa�, DropShades, Exhale, GOGA by Gordana, Hawaiian Springs�, Herban �, International Citizen Design House�, ISO Beauty�, Kah� Tequila, Kama Sutra�, Karma Kollection LLC�, KRAVE�, KRPR Creative PR, Original Gourmet� Lollipops, Mobigrip�, Perch� By TII, Photo Booth Pro, Pr�t � Porter Designs, Pretty Polly, Pretzel Crisps�, ShameOnJane�, Sheila Bella�, Single� by Galina Sobolev, Skinnygirl� Sparklers, Skinnygirl� Daily, The Orphaned Earring, Thorlos/Experia, Twisted Silver�, Vintage TeaWorks�, Wear Luck�, Yuki Sharoni Beauty & Lifestyle, Ze Chocolate Lady, and ZING Vodka. The stars had plenty of rave reviews about Kathy Duliakas' 6th Annual Celebrity Oscar Suite & Party, as well as the important charity being benefited. "I'm having a really great time," says Kelsey Scott, of Oscar-Nominated film, 12 Years a Slave. "I found some amazing and eclectic things. This is what draws me to these suites; you find different and unique things." "I'm obsessed with toners," claims Jax Taylor, of Vanderpump Rules, "so anytime there's skin care at these suites, I grab as much as I can. I spritz face stuff on my face all the time. As men, as we get older, we got to take care of our face." "It's always very difficult to choose my favorite product because Kathy has truly the best vendors on the planet," declared True Blood's Carolyn Hennesy. "There's no suite like hers anywhere. Everything here is fabulous." Dancing with the Stars' Gleb Savchenko states, "I'm here with my family and they're really enjoying today. It's a lot of fun." 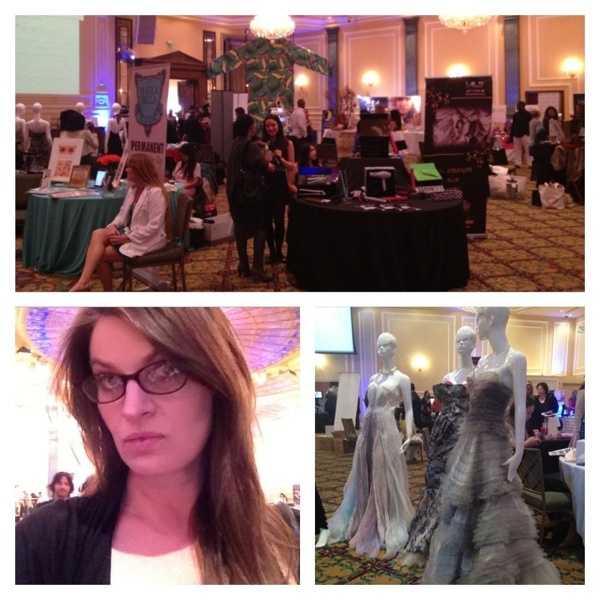 Magic City's Patricia De Le�n says, �Kathy Duliakas put on a first class event with lots of great vendors. I found a perfect dress for an upcoming awards show and lots of other great products.� �It was a really nice experience to meet everyone and hear about their products,� shared Brighton Sharbino, of True Detective and The Walking Dead. �Everyone was really nice.� Her sister Saxon Sharbino, who is starring in the upcoming Poltergeist film, had similar sentiments. �I loved the Kathy Duliakas suites� environment. It was so cool to get to see other people in the business come together for the cause!� Jaclyn Betham, of The Haves and the Have Nots says, "We just took a photo at the PhotoBoothPro.com booth. That was really fun." "I'm so excited!" exclaimed Parenthood's Lyndon Smith. "This is such a gorgeous venue." Body of Proof's Nic Bishop remarked, "It�s always good to be here at Kathy's events. This is my 4th event I've attended, so she's not totally sick of me yet, which is good. I'm just been doing the rounds of all these great products." "It's incredible going to gifting suites like this because I get turned on to different products that I wouldn't have seen otherwise,� says actress Tia Carrere. "Pr�t � Porter has beautiful stuff, I had never heard of them before. I didn't know that Skinnygirl made non-alcoholic beverages. I tasted amazing Zing red velvet vodka. This is a great way for celebrities to interface with brands but also for people to discover new brands that they then going forward will purchase, like me." The Haves and the Have Nots' Peter Parros says, "It's great supporting a good cause like Pajama Program. Kids have to have something good and comfy to sleep in, that's important. Every little bit helps. It's a great room here. I heard the food is incredible. It's a sweet suite." Pretty Little Liars' Wes Ramsey agrees, "It's a lot of fun here! Chocolate, food, music and pajamas for kids, that's where it's at." Another highlight of Kathy Duliakas' 6th Annual Celebrity Oscar Suite & Party was the Live Social Media Lounge. The entire event Tweeted, InstaGrammed and Facebooked LIVE as all the action unfolded. Celebrities, sponsors, media and a group of social media experts gave their followers an all access VIP digital pass into the party allowing them to follow the live stream and join the conversation, celebrities and fun by using the hashtags #KathySuite and #1MGoodNights. Throughout the day, hashtags #KathySuite and #1MGoodNights were both trending on Twitter. Here are just a few of the celebrity tweets that helped gift a child in need a brand new pair of pajamas. Scheana Marie, of Vanderpump Rules, tweeted more than once: "Let's help kids in need! @carters #kathysuite #1mgoodnights pajama program!" Another tweet: "Oooo la la @KamaSutraCo just gave me some goodies for my honeymoon! #kathysuite #1mgoodnights"
Another tweet: "Hanging w @mrjaxtaylor at the #KathySuite #pumprules"
Dancing with the Stars' hottie Gleb Savchenko tweeted and instagrammed: "Having fun #KathySuite #1MGoodNights #LA #love"
Stephanie Jacobsen of Star-Crossed and Revenge tweeted: "Big thank-you to the #PajamaProgram for supporting children in need. #KathySuite #1MGoodNights"
Tiffany Hines, of Bones and Devious Maids tweeted: "Having a pajama good time right now at the @PajamaProgram oscar suite! #kathySuite #1MGoodnights"
Awkward's Matthew Fahey tweeted: "Heading to the #KathySuite in support of #1MGoodNights! Stoked!" 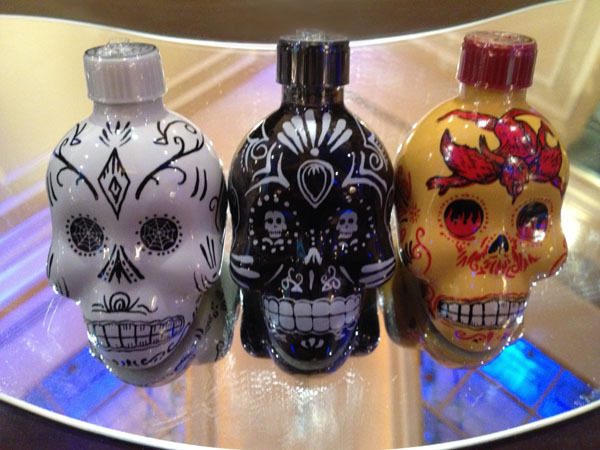 Dirty and Thirty�s Stuart Brazell tweeted and instagrammed: "Loving these kahtequila bottles! #KathySuite #1MGoodNights @dirtyandthirty"
Another tweet: "Living for this maleku necklace #KathySuite"
Another tweet: "Having a beautiful afternoon at #KathySuite xoxo"
Another tweet: "Final pic from today's #KathySuite in my new @twistedrocks jewelry that I love, love, love!" Dirty and Thirty�s Stefanie Seifer tweeted: "Turn up the beat! @DirtyandThirty: Rockin our @dropshades #kathysuite #1MGoodnights"
The Neighbor's Toks Olagundoye tweeted: "Thank you Kathy Duliakas for the #KathySuite benefiting @PajamaProgram!!! It was absolutely beautiful! Everyone was so lovely and generous!" Another tweet: "Girls just love to be gifted. #KathySuite #1MGoodNights"